Our first site launched in 2002 and over the years it has had many facelifts, and even a few hosting changes. The main aim of building our site was to have a place on the internet that people could come to learn more about the actress behind the character Claire McLeod. We have spent many years collecting information on the site for all to browse and enjoy. For those of you who have been long time visitors to our site you will notice that we now have a slightly new ‘home base’ and have moved again. 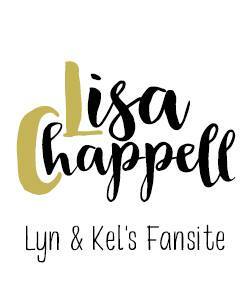 This change has come about to host Lisa’s new Official website on the main www.lisachappell.net domain, while still incorporating our fansite. We are mid way through another facelift to our fansite and we will be adding all of our content over time. In the mean time feel free to take a browse around, but please bear with us as somethings may not be working exactly as they should since our web address change. If you would like to learn more about our sites history please visit our Site Info page. You can also visit our Facebook Feed page, to see all of our latest facebook posts.